I have introduced a few new products to my skincare and beauty regime over the past couple of months and have noticed a real difference in my skin. I took a no make-up, close up photo of my skin the day I started using Retinol and another photo today, and put them into a layout to compare. There’s a noticeable difference. I am not confident enough to share that photo with you, but overall my skin looks brighter and my sun damage and blemish marks have definitely faded. 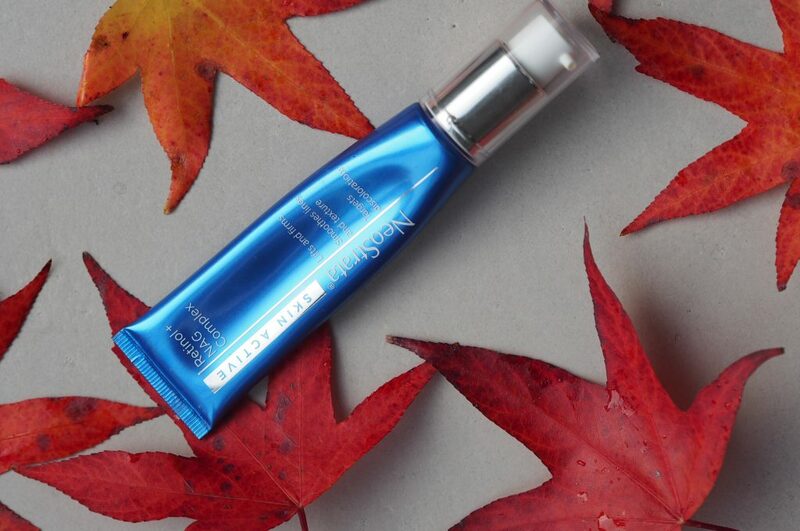 I think the product that has had the biggest impact on my skin is the Neostrata Skin Active Retinol with NAG complex that I have been using since the 21st August. Before I say anything else, PLEASE do not rush out and buy this without doing your research. It is very good, but it IS strong and I was recommended it by Medicetics after a thorough skin consultation. I had been using the Ordinary Retinol for months leading up to my appointment, so my skin felt ready for a stronger product. If you want to read up about Retinol then this is a good overview from the Paula’s Choice website. I use the Retinol when I feel my skin is ‘normal’ but on the days where I have peeling or any sensitivity I will leave the Retinol step out. If I remember, then using it alternate days seems to work well. The peeling and flaking is a side effect that needs to be managed, and you can do this by not using it excessively, ‘reading’ your skin and only using little amounts. I avoid my eye area completely too. On days when I notice peeling, I use a hot face cloth and then rub very gently to get rid of as much flaking skin as possible. 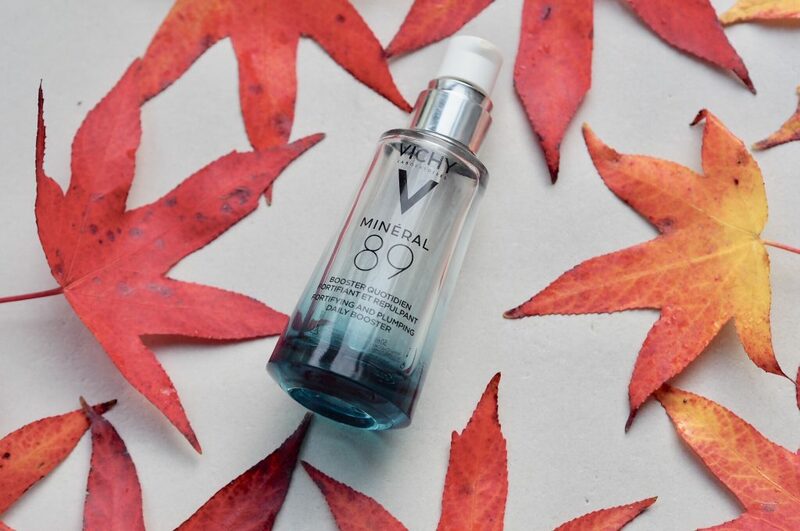 Once my skin is dry I use Vichy Mineral Serum (£12) and then I apply my moisturiser and foundation as usual. I was advised to use a Vitamin C Anti-wrinkle serum in conjunction with the Retinol. I always use the Retinol at night and then Vitamin C after cleansing in the morning. 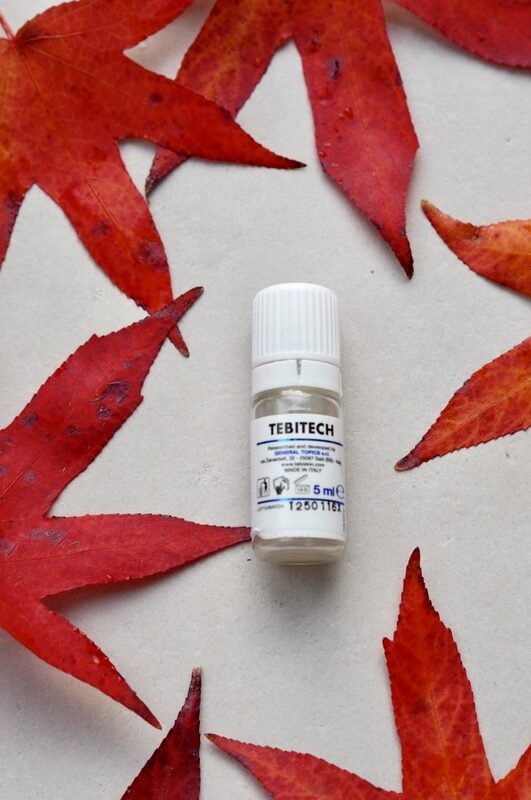 The serum I am using has active ingredients which need to be mixed together and it only last for 2 weeks, so you do have to remember to use this product while it’s active. I would recommend the Medicetics Clinic for anyone who is looking to take their skin care to a more ‘medical level’. Both of these products were recommended by Medicetics for my particular skin concerns. If you are looking to introduce Retinol into your skincare regime, winter is a good time to start as there is less sun exposure. I would also say if you are new to Retinol, Vitamin C and Hyaluronic Acid then I highly recommend The Ordinary products. You can try them and see how you get on without spending a fortune. Another new product that I have been trying is M&S Absolute Ultimate Sleep Cream. 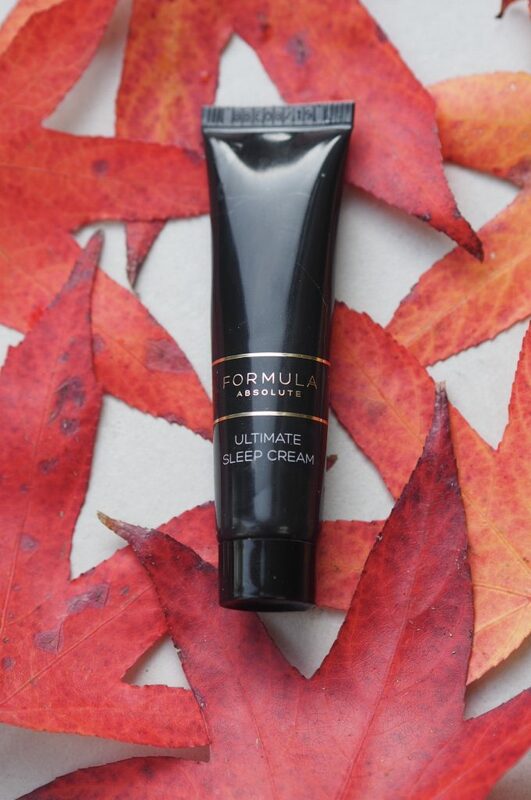 It’s hard to know which product is actually giving me my newfound ‘glow’ and I would hazard a guess that it’s the retinol and vitamin C, but this sleep cream feels amazing on and gets rave reviews on the M&S website. For £22 I think it’s a really good night cream. I find my skin tingles a bit after application, but that might be because it is a little more sensitive than usual after Retinol use. This isn’t really beauty or skincare, but I feel it’s worth a mention. After getting my cartilage pierced a few weeks ago, I had reached the point of feeling like I should give up and remove the earring. The piercing had gone crimson, it was swollen, throbbing and looking very angry. 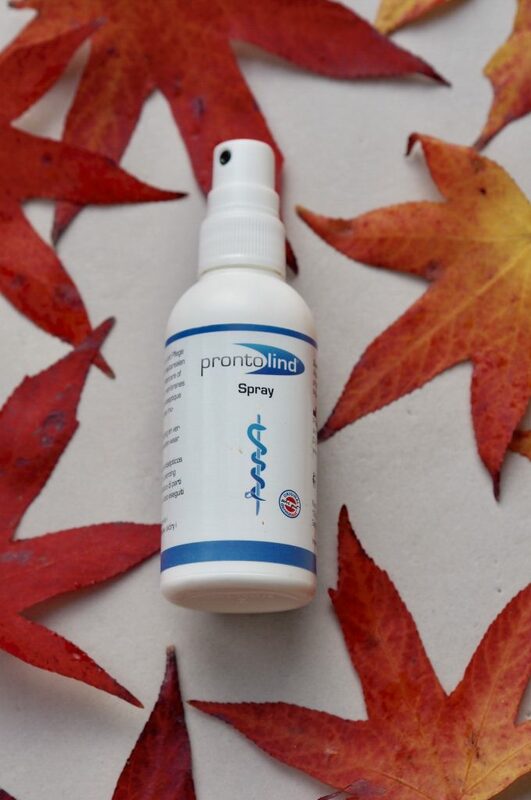 Someone rather helpfully suggested I try Prontolind spray, so I ordered it from Amazon and haven’t looked back. My ear is almost completely back to normal, so much so that I forgot to use the spray last night because for the first time in weeks I wasn’t aware of my ear. 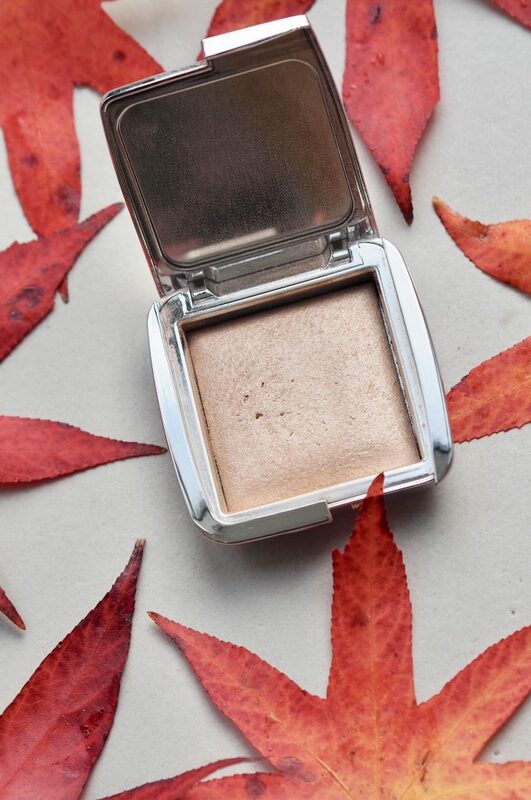 On the make-up front, there are a few new products that I am using and seem to be making a difference, but the one that I am most pleased with is Hourglass Ambient Lighting Powder. I sweep it across my cheekbones and fore-head, down my nose and just above my lip. 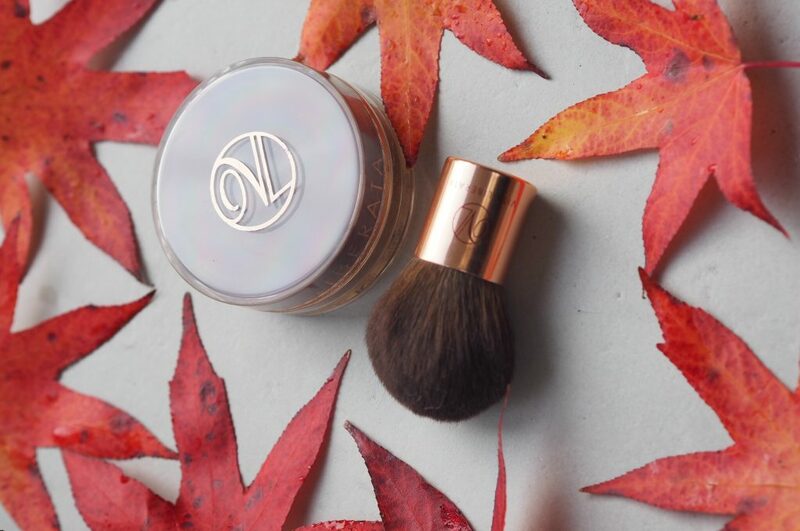 It reflects the light and gives your skin a really lovely glow. Definitely one to pop on the Xmas wishlist! 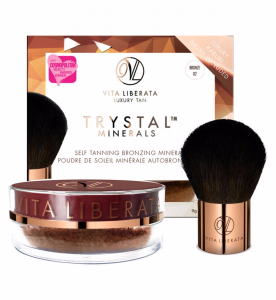 The other product which I would highly recommend is the Vita Liberata Lumiere Trystals bronzer. People keep saying I look ‘well’ and I think its definitely down to a combination of these two products. I use the bronzer in the hollows of my cheeks, along my jawline, across my forehead and temples. It gives such a lovely colour and a little goes a long way so I think this product will last ages. One little tip – if you are travelling, try and remember to put sellotape across the holes to stop all the little balls coming out and having to play pinball when you arrive. It comes with this brush which is the best kabuki brush I have ever used. 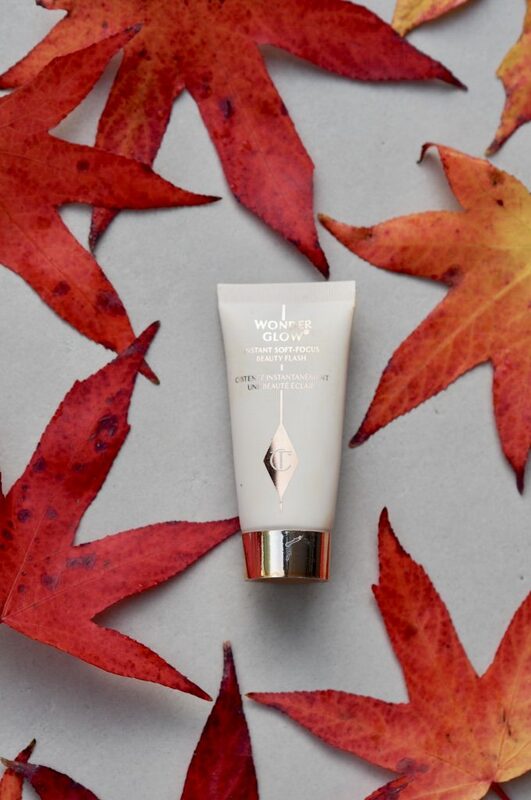 Most of you know I am a big fan of Charlotte Tilbury and I have started using this smaller tube of her award winning Wonderglow. It preps the skin beautifully and would make a really great gift for a girlfriend or perhaps one to pop on your own wish list? It’s the sort of product that you don’t know you need until you try it. I am definitely going to purchase the full size tube when this travel one finishes. My biggest beauty secret of late has to be my new, longer lashes. I have struggled with eyelash stubs most of my life and was very sceptical about lash lengthening products. But after reading people’s comments on Instagram about Revitalash and how brilliant it was, I decided to give it a try. It’s not cheap and I believe that there are less expensive versions out there, but I can honestly say that my eyelashes have grown half a centimetre since I started using it. Almost feels too good to be true and for the first time in my life wearing mascara actually seems to make a difference to my eyes because there is something to apply it to! 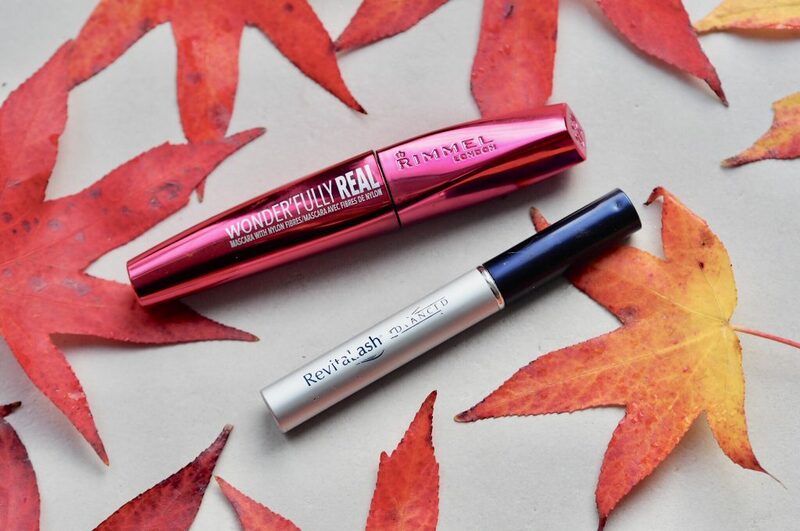 I am using Rimmel’s Wonderfully Real Mascara at the moment and absolutely love it. Only £7.99 too. I am including this photo below, because having noticeable lashes in a side profile is new to me and I’m so chuffed! Thanks for reading and here’s to finding and maintaining that glow! Thank you for sharing, it’s reading blogs like yours that help me have the confidence to try something new. There are so many different products that it seems overwhelming, so it’s great to hear real people’s experiences. I love hyaluronic acid, the name sounds scary but it so stops my skin drying out. I’ve use Biosthetics capsules, but have gone over to The Ordinary as it’s so cost effective I use it twice a day (before I only used it when my skin needed extra help). I am considering a retinol product, and as you say this is probably a good time of year to start. I’ll probably start with The Ordinary there too, they have a couple of products, so I will do my research, and probably start using it every other day, until I’m confident that my skin can handle it. Yes the Ordinary is a good place to start. Im the same with HA, I use it all the time I love it so much!